RiverQuest is awesome and one of those cool things that didn’t exist when I was a kid. RiverQuest, which used to be called Pittsburgh Voyager, is a floating classrom that is here to provide hand on learning on the rivers. Earlier this summer, RiverQuest moved to a new vessel that is a green, environmentally friendly ship – the Explorer is one of the first green passenger boats in the world. 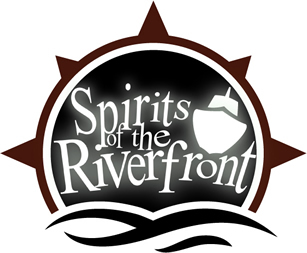 To celebrate the Halloween Season they have organized a spooktacular “spirits of the Riverfront” Cruise. I really want to go on this – 2 hours of scary stories and visiting haunted spots along Pittsburgh rivers. The final cruise is this Friday, October 24 7-9pm. Tickets are $10-$15. Click here for all the details.